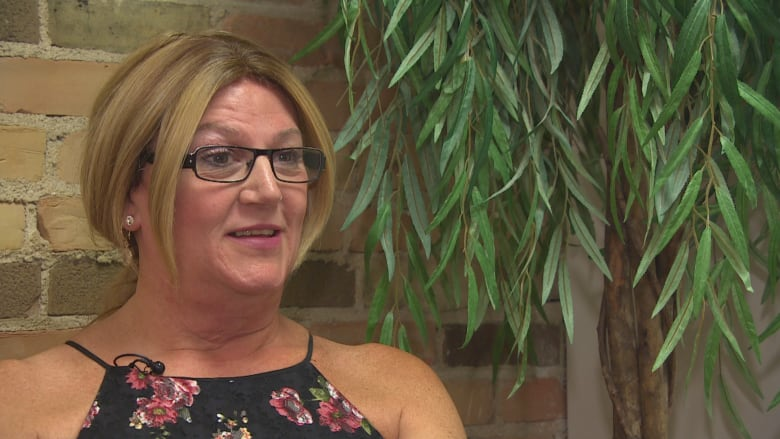 A trans woman in Winnipeg says she wants to help educate CITI FM radio host Dave Wheeler after he made on-air comments about trans people that many have condemned. A trans woman in Winnipeg says she wants to help educate radio host Dave Wheeler after he made on-air comments about trans people that many have condemned. Cynthia Fortlage says she was shocked and infuriated by Wheeler's words on the CITI FM program Wheeler in the Morning on Monday, and a Facebook Messenger conversation he was involved in surrounding the commentary that was later shared publicly. CITI owner Rogers Media issued a statement condemning Wheeler's comments, and Wheeler's co-host Rena Jae said she and co-workers were "disgusted" by the remarks made on-air Tuesday morning. Fortlage also appeared on the program Tuesday after she was invited in by Rogers Media to talk about issues faced by trans women. "[The hosts] made a great apology. I felt it was very honest and very forthright of them. They meant it, is what I felt," Fortlage said after the program on Tuesday. "They need to continue talking to community to create opportunities, and they said they wanted to, so to continue doing that." Education and apologies are a good start, Fortlage said. "And then really the final piece, the big question everybody asked, what should happen to Mr. Wheeler?" she said. "You know what, you can make an enemy out of people, or you can make an ally out of people. And I would rather find a way to make an ally, rather than make an enemy." Fortlage noted she was not speaking in her official capacity as the president of the board at the Rainbow Resource Centre, which offers support to LGBTQ people in Winnipeg. Instead, she offered her opinions as a member of the city's trans community. "In the commentary through [Facebook] Messenger, Mr. Wheeler had said that he had a lot of questions. Well, I'm prepared to answer those questions," she said. "Is he prepared to have the conversation? Is he open and accepting to have the conversation?" Wheeler made the on-air comments during a conversation on the program about actor Scarlett Johansson's withdrawal from upcoming film Rub and Tug, following backlash after the cisgender woman was cast to play a trans man. In the conversation, Wheeler made a remark likening trans people to actors who "pretend to be different things." He reiterated the sentiment in a Facebook Messenger conversation with a woman who reached out to him regarding the commentary. The woman shared images of their conversation online. In the images, Wheeler is seen saying, "If someone is born human. And they pretend to be a dog. It is not right to agree with them for the sake of their feelings." The comments follow another incident in 2016, when Wheeler was suspended following his involvement in a pair of Youtube videos critics called racist and sexist. Rena Jae, one of Wheeler's co-hosts on Wheeler in the Morning, said on the program Tuesday that she and her colleagues were "disgusted" by Wheeler's words. "Yesterday, some very inappropriate comments and statements were made on this show. They do not reflect the way anybody in this room feels, anybody in this company feels and we are extremely disgusted, appalled and embarrassed by what happened," Jae said. "And I just, I can't say that enough because we are pretty upset about what happened in here yesterday. We do not condone hate." On Tuesday, the Canadian Museum for Human Rights announced it will pull its advertising from CITI FM for the time being. Winnipeg restaurants Gates on Roblin and Santa Lucia Pizza, as well as Kal Tire, announced on social media they weren't advertising with the station, either, and band Ex Omerta posted on Facebook it would no longer be affiliated with the station or Wheeler. Fortlage said comments like Wheeler's can be a daily occurrence for trans people, and they can be deeply damaging for some. For people who are struggling with their gender identity or transition, she recommended seeking out Rainbow Resource Centre for peer support and education. For people who don't understand what it is to be transgender, Fortlage said that's OK.
"Sometimes finding the right words is difficult. Sometimes being able to really appreciate where people are coming from, whether it be the religious beliefs, the way they were raised, the communities they're living in, I get it," she said. "But don't close off to the conversation." She said her biggest takeaway since Monday morning has been that there are people out there who want to learn more. "Unfortunately, we only seem to have a conversation when there's a headline," she said. "Conversations need to happen all the time. That's how we get to know each other."